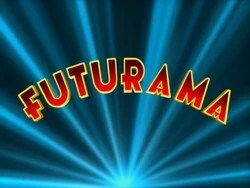 Fox’s and Comedy Central’s science fiction cartoon Futurama features many mathematics, science, and computer science references supplied by its highly educated staff. The show has employed many mathematicians and computer scientists as writers and producers such as Ken Keeler, who has a PhD in mathematics from Harvard, and Jeff Westbook, who has a PhD in Computer Science from Princeton. Tomorrow, at 4:00pm in the Ritter Hall Lobby, Jeff Breeding will explain some of the advanced jokes in the show and why you should have laughed. Just hours after our BBQ next Wednesday, there will be a screening of the new Jorge Cham film ‘Piled Higher and Deeper’ at 7:00pm, September 21 in the Baer-Fuller Lecture Hall in Kelley Auditorium. The film is based on Cham’s popular PhD Comic about the lives of graduate students and postdocs. This event is brought to you by the Graduate Student Association, Graduate Education, College of Arts and Sciences, and Pepsi. Refreshments will be provided before the screening and there will be a panel discussion of the film and its relation to the experiences of graduate students immediately after. All are encouraged to attend. If you miss this screening, there is another screening on September 26 at 6:00pm at Washington University in Saint Louis featuring a Q&A session with Jorge Cham and cast members. Here is a link to a list of all the scheduled screenings of the film around the world. Our own Dr. Bryan Clair will be speaking at the club meeting tomorrow on tic-tac-toe. If you gave up on tic-tac-toe after a dozen cat’s games in elementary school, think again. Learn how to play well, for real this time, and other fascinating aspects of a very simple game. Here is a complete map of optimal Tic-Tac-Toe moves, courtesy of xkcd. This is James Stewart. He has written some of the most popular calculus textbooks. 70% of U.S. university students and 90% of Canadian university students use his books in their courses, earning him quite a fortune. He’s used his riches to construct an unusual 18,000 square-foot home called Integral House. Integral House took six years to build, on account of its curves. It has five floors, a concert space, and a staircase surrounded by walls of handblown blue glass. Read the full article from Toronto News here. Mathematicians love math so much that they can’t stop talking about it. A few have embraced social media as a way to communicate interesting mathematical ideas to the masses. Whether you’re interested in general mathematics, geometry, number theory, the use of technology in mathematics, math history, or math education, you can find someone tweeting about what you want to know. You should look at the list of the 50 best twitter feeds for math geeks. Our first meeting will be held tomorrow (Wednesday 9/7/11) at 4:00pm in the Ritter Hall lobby. It won’t be like our regular fancy meetings. Just a meet and greet so everyone can get to know each other. As always, we will provide cookies, coffee, and tea. Our only problem is that we have too much! So please invite your friends to come join us in consuming our vast supply of delicious treats. Do you like taking challenging exams? Well, each year, the Putnam Exam is administered to brave math students yearning for a challenge. All students are welcome and encouraged to participate, as the questions tend to reward ingenuity and problem solving skills much more than they do mathematical knowledge (although a minimal background in calculus is strongly recommended). Dr. Greg Marks hosts a weekly training session in the form of a 1 credit hour Pass/Fail course on Mondays at 5-6pm. A passing grade will be awarded for taking the Putnam Exam on the first Saturday of December, and there will be no required homework (although participation is strongly encouraged). Typically, Dr. Marks likes to provide pizza, snacks, and beverages at class meetings. For more information, send your questions to marks@member.ams.org. Similarly, a competition for computer science students administered by the Association of Computing Machinery will be given in early November. Teams are given a handful of challenging to problems to which they will hopefully derive an automated solution in either C++ or Java. Dr. Michael Goldwasser will be hosting team practices on Monday evening 4-6pm in preparation for the contest. Contact him at goldwamh@slu.edu if you have any more questions. To receive relatively up-to-date information about the Math/CS club, please sign up for the mailing list at Math/CS Club page on the department’s website. I hope to see you there on Wednesday for the first meeting! Herwig Hauser has an interesting site where he includes lots of nice pictures of surfaces and their defining equations in his Algebraic Surfaces Gallery.